Mid Cal, as a proud agent for Bekins Van Lines, has been performing exceptional relocations for families and businesses alike for several decades. We strive to provide all of our valued customers with the quality service, punctuality and attention to detail that they have come to except from our Turlock movers. As a BBB-Accredited business and a member of the American Moving and Storage Association, our movers are held to the highest standards in the industry. Our professionals work around the clock to accommodate any moving need – no matter how small or large. 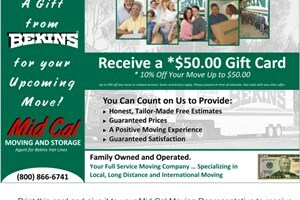 Learn more about Mid Cal Moving & Storage and our Turlock movers today. Call us or fill out our online form for your free moving quote!